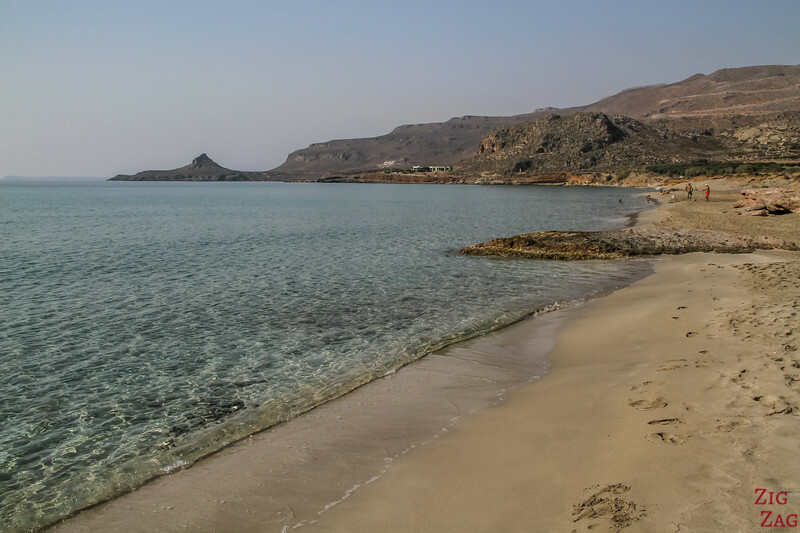 The island of Crete has no shortage of beautiful beaches: but which ones to visit? 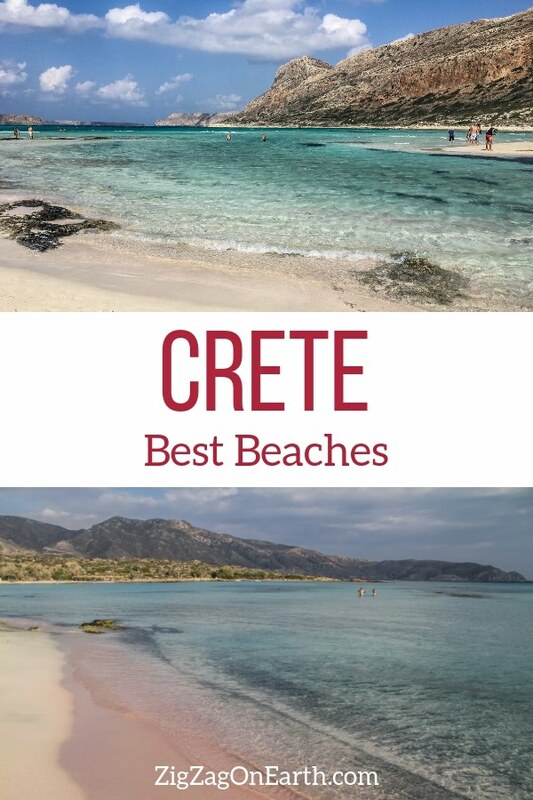 Let me make the choice easier for you with pictures of my selection of the 27 best beaches in Crete: the most scenic, the most colorful, the most unique, the sandy beaches... with tips and info to make your selection! The island of Crete is the 5th largest island in the Mediterranean. With a coastline of over 1000km (650mi), it is home to hundreds of beaches. In many places, the most famous beaches have not been my favorites. 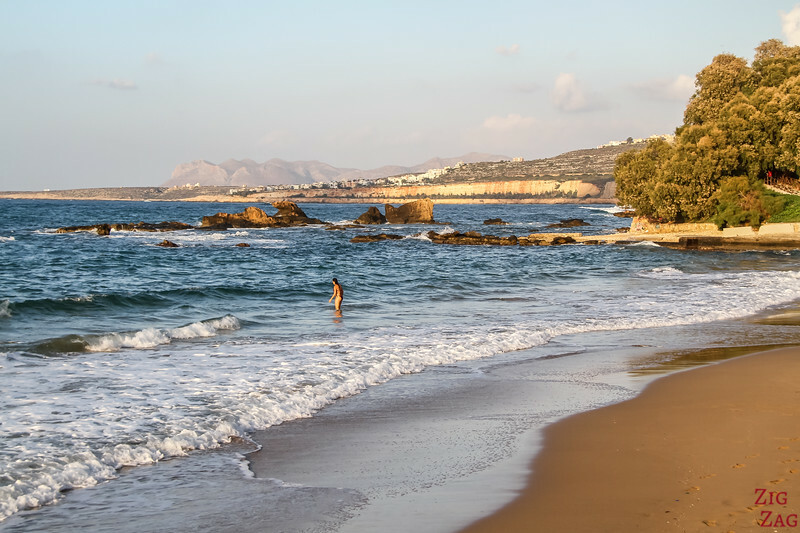 But in Crete, except for a few other gems that I have found (and I am listing further in this article), I have found that the following beaches are famous for a good reason. They are breathtaking! 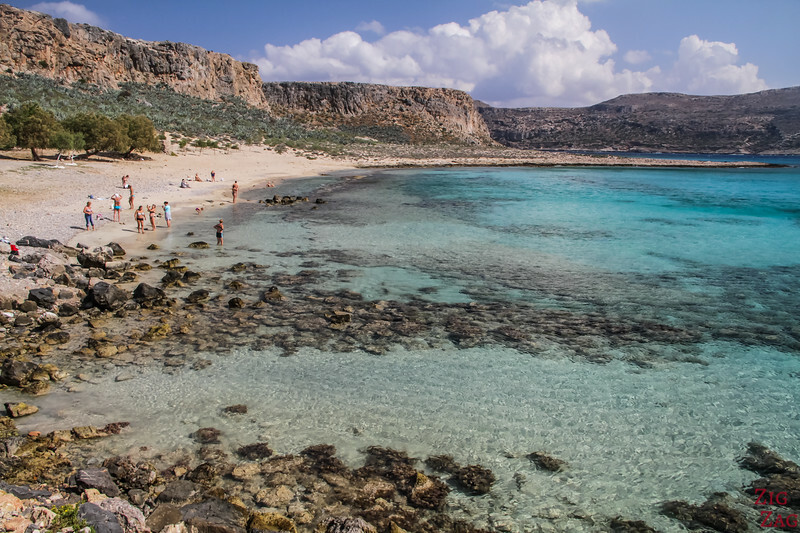 Those beaches are some of the best places to see in Crete! Above is the view towards the sea, with the ferry on the left and Gramvousa island in the background. And below is the lagoon which is only a few cm deep. The region is wild, no buildings in sight, the mountains are dropping in the sea, the water is emerald and turquoise... The boat is large and crowded, but the views are spectacular and it is worth the trip. The views are scenic in all directions. Otherwise there is an unpaved road leading to a carpark (for 4WD only) and then you have to walk a steep slope down to the beach. There is no accommodation at Balos beach itself. The closest town in Kissamos. And at the beginning of the 4WD road to the beach is the Balos Beach Hotel where I have stayed. Spacious modern rooms and good food. 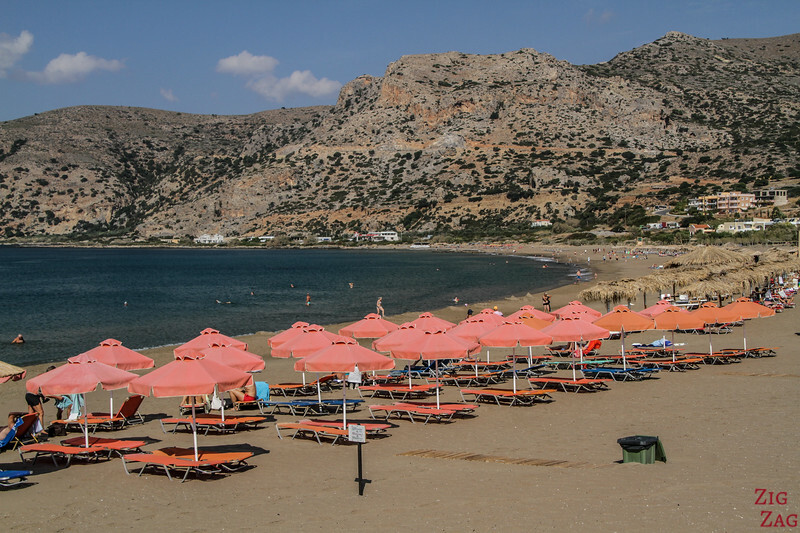 Check out pictures or check out the best rated accommodations in Kissamos. 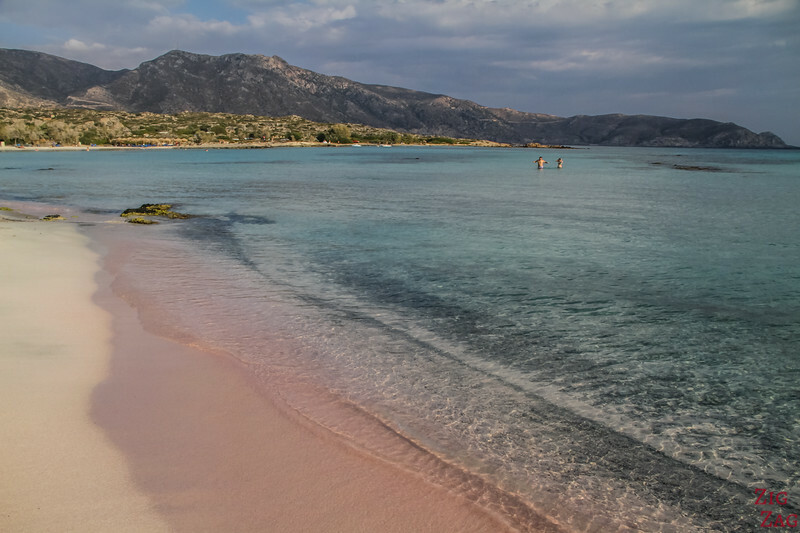 Elafonisi is known as the pink beach. This is due to shells being crushed and creating pink sand. Fun! There is a small island that protects the shallow lagoon and the large sandy area. Plus it is a wonderful place to watch sunset! I recommend staying nearby to experience this location without the crowds. It is a real treat. 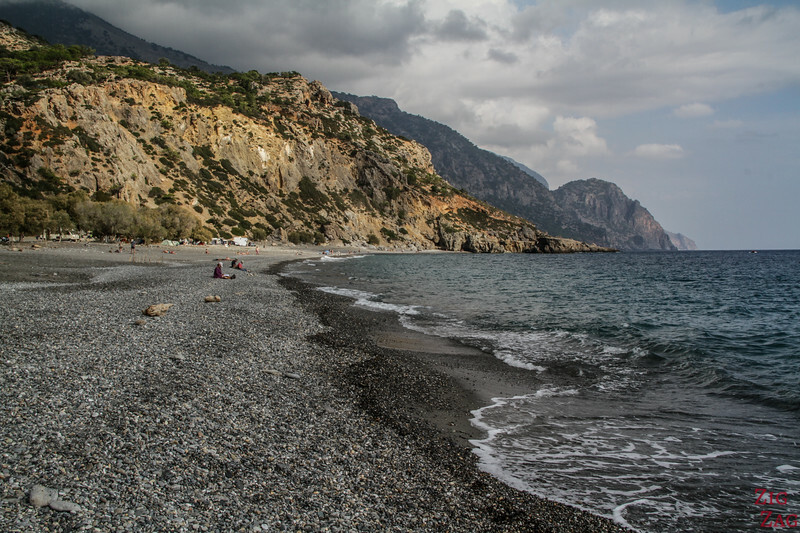 The beach is accessible via a mountain road that is not too difficult. The last few hundred meters are unpaved to reach the carpark, but it is not difficult. And if you don't have a car, some day trips from the main touristic towns (Chania and Rethymno) take you to Elafonisi. Check out their programs. There is no large buildings along the beach, which makes it even more enjoyable. However you have small structures with facilities, snacks and beach equipment. Crowded during the day but if you go early or late it is a wonderful and peaceful place to enjoy. There are several accommodations near the beach. I stayed at the closest one, in one of the villas at Elafonisi Resort by Kalomirakis Family. It was great, spacious, modern with a large terrace surrounded by olive trees. Check out pictures and book. This is such a unique place in Crete!!! The beach is at the end of a gorge where a lake has formed (and still has water had the end of the Summer). Palm trees have grown around. The views from the access path with the green of the valley, the blue of the water and the coastline is one of the best viewpoints on the whole island of Crete. 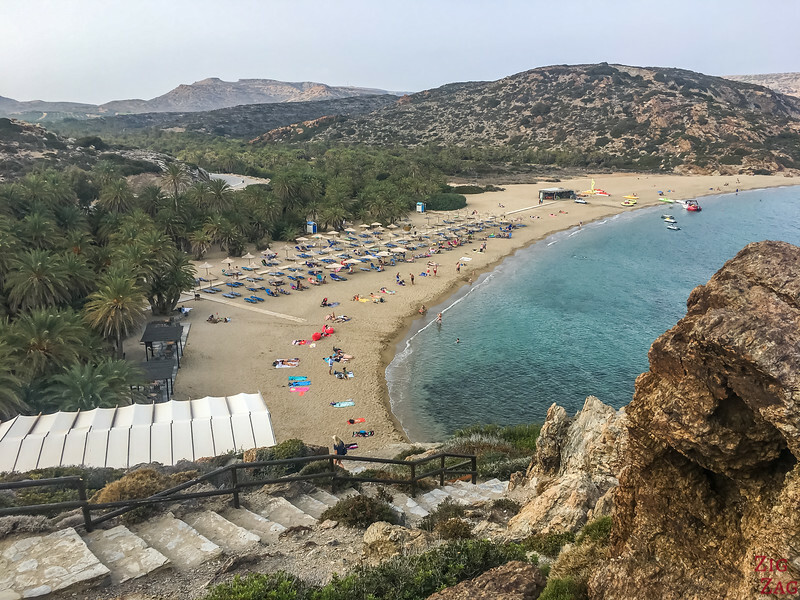 Even if you don't have the knees to walk all the way down to the beach, you can climb down the first 130 steps to enjoy the view! Mountain road in very good condition and wide (except when going through the village). Large carpark for a fee. However access to the beach itself requires you to walk down more than 400 steps (and then back up at the end). There is a closer carpark on the other side of the beach but it is only accessible via a dirt track. This is the least accessible of all the beaches listed in this article. 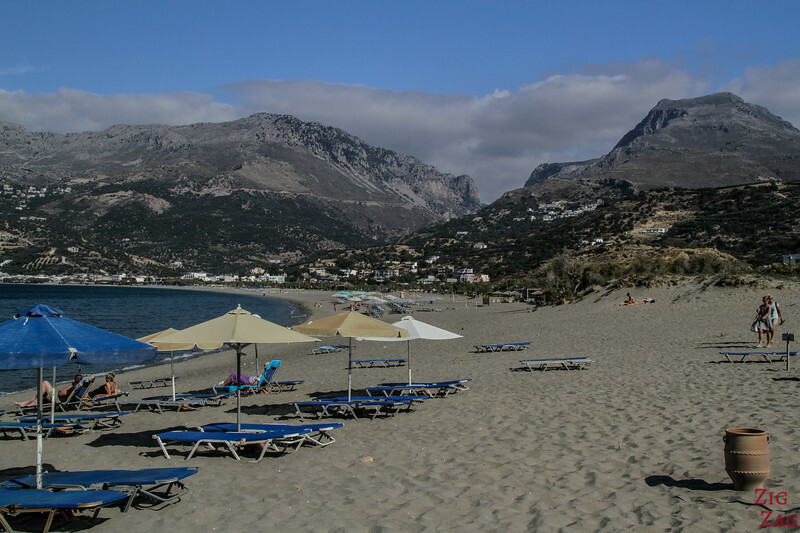 But you can also take a boat from Plakias, which takes you directly on the beach. 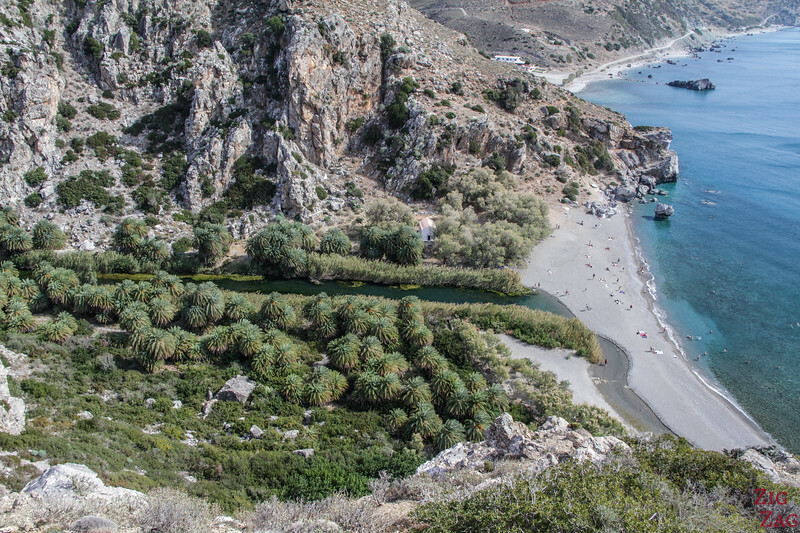 Note: if you don't have a car, some day trips from the main touristic towns include a stop at Preveli. Check out programs. 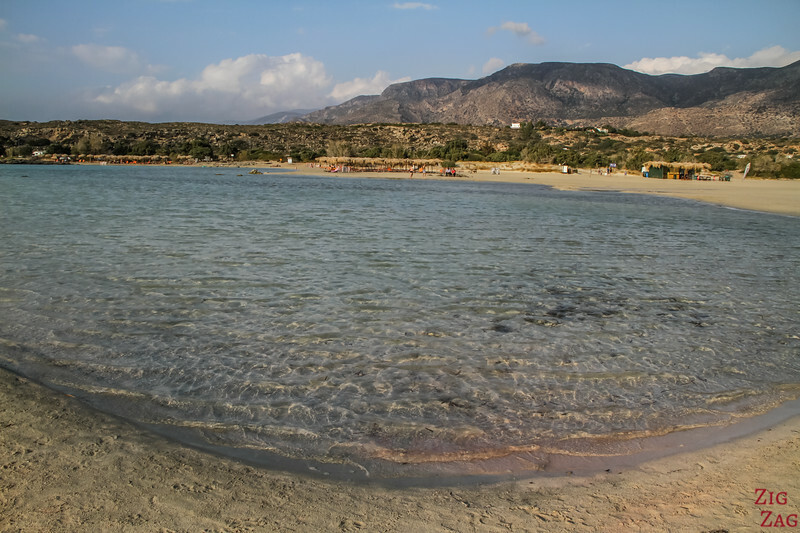 Falassarna is not as grandiose as the other best beaches in Crete but is is one of the most practical. It offers large sandy area as well as smaller coves. The colors are quite intense, with the turquoise water against the dark rock. You can even play in some small sand dunes. Easy drive from the North coast. The last drive down offers splendid views of the whole area. Both sandy and rocky beaches. Crowded in the heat of Summer. Location - Middle of the South Coast of Crete, not far from Phaistos Minoan palace. 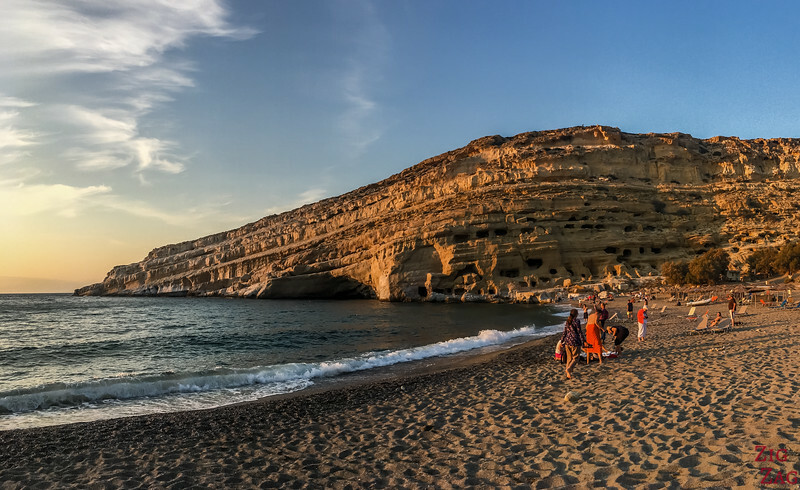 Matala has been one of the most famous beaches in Crete for a long time for 2 main reasons. Its wall on the North side has been carved with caves and it has been a hippie central hub for many years. The cove is well protected and perfectly aligned to admire the sunset! Very easy drive from the main road along the South Coast. Large carparks in town for a fee. All you need. It is right by the town with many restaurants and shops. Mix of sand and small pebbles. Very crowded, even at sunset. Lots of accommodation in Matala. Check out the best rated ones. Sadly I can't recommend where I stayed because it was not good. Sand, turquoise water and thousands of palm trees! This is not the most scenic of all those famous Crete beaches but the possibility to climb and see it from above made me love it 🙂 I love seeing places from above. Easy access from Sitia and the North Main road. Large carpark for a fee. You can climb on both side to admire the beach and the palm valley from above. I must admit it is not one of my favorite, it is too flat for my taste. 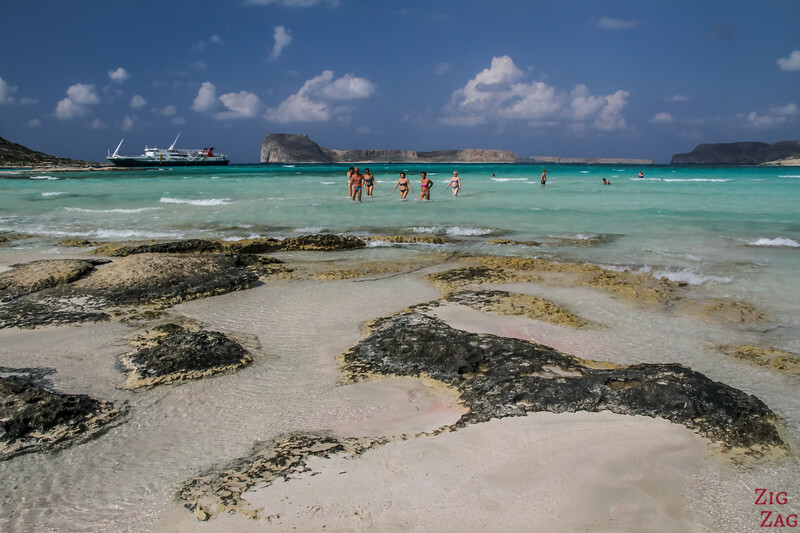 But the beaches of Chrysi island (also written Chrissi) are some of the most famous because of their white mix of sand and pebbles and views of mainland Crete. You can't stay overnight on Chrysi island. Many accommodations in Ireapetra. Check out the best rated ones. 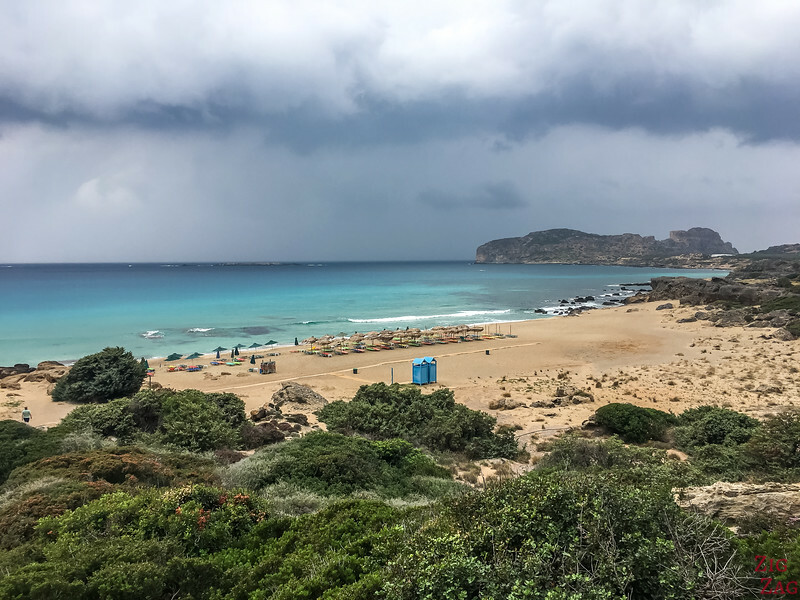 Before I continue sharing pictures and info about the best beaches in Crete, below is a map identifying the location of the 7 most famous I have just listed, and 3 others I loved. 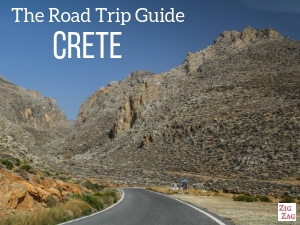 This should help you get oriented and plan your road trip around Crete. 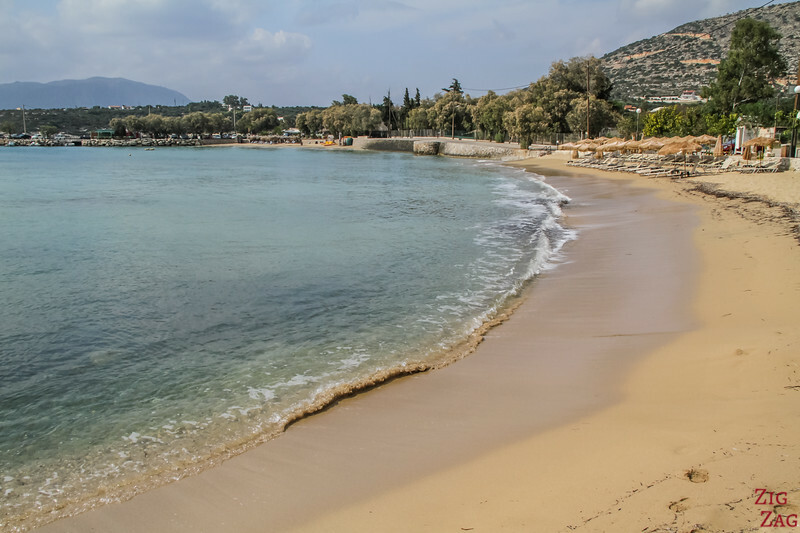 Where to go for a beach holiday in Crete? Is the sea warm in Crete? What is the water temperature? 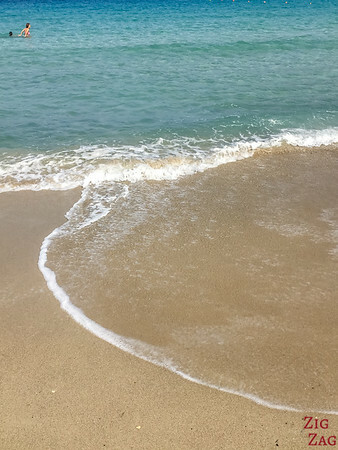 The sea is warm in Summer around 24/24°C. There is no issue getting into the water. It gets colder from October to May. However the temperature normally stays above 17°C. Temperature will vary from one beach to the other depending on how shallow it is. What animals can we expect in Crete waters? Are there sharks? Contrary to mainland Greece, I have not come across a beach where I had to pay. Sometimes you have to pay a feee for parking but the access to the beach is open. 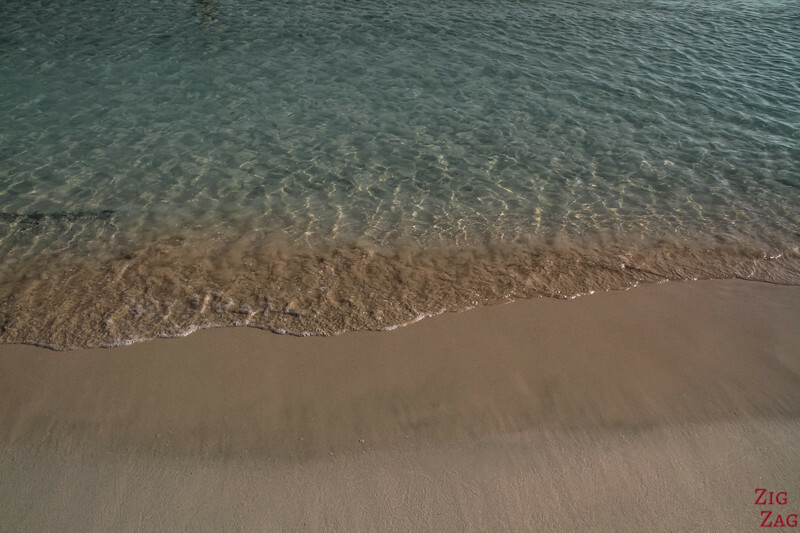 The most amazing thing about the Cretan beaches are the colors. The island is actually a lot greener than what I was expecting. The mix of orangy, brown rock, greenery and intense turquoise water is simply mesmerizing. Below are a few beaches that represent particularly well the painted colors of the island. The island is on your way to Balos Lagoon. It is a stunning small rocky place with steep cliffs, unique fauna and fortifications at its highest point. 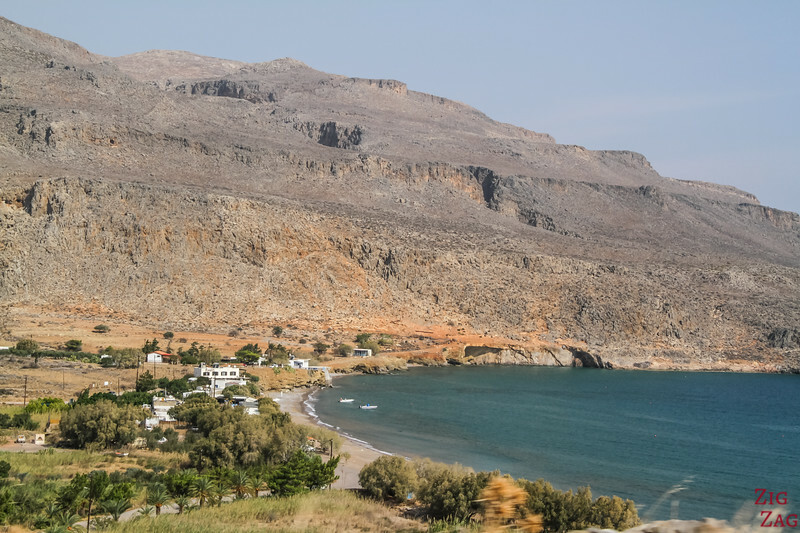 If you don't want to clim the 400 steps and slopes to get to the top, I recommend enjoying the beautiful beach with views of mainland Crete and turquoise water. Mix of sand and small pebbles - Most people climb, therefore the beach does not get overcrowded. You get a fantastic view from above as you walk down from the carpark. 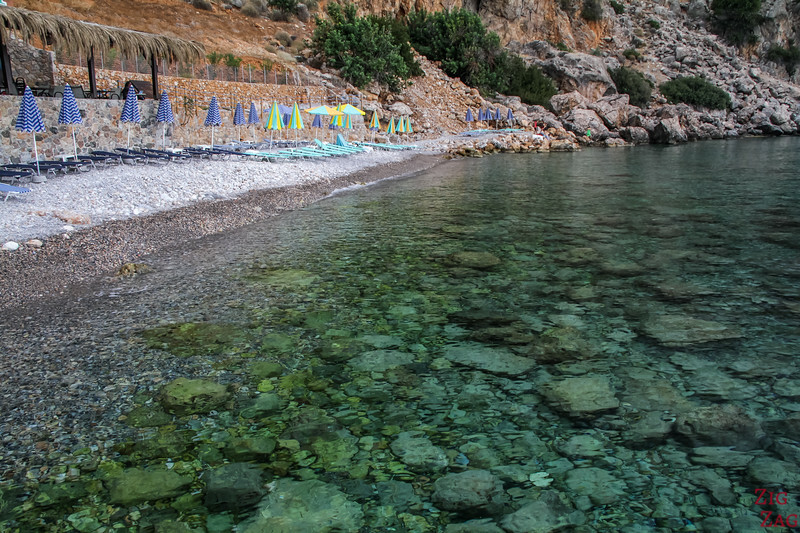 The water is shallow and very clear offering mesmerizing turquoise color all around the cove. 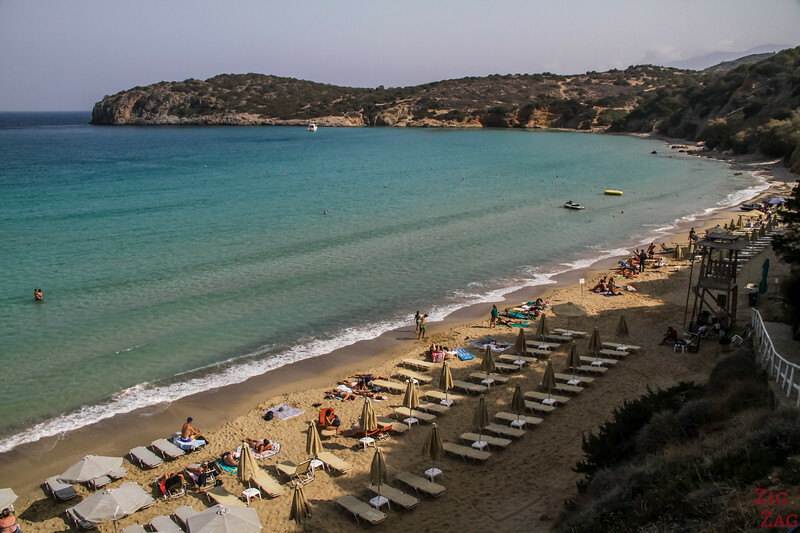 Itanos is not famous, it is often overlooked and it does not show the attribute of the other famous 'exotic-looking' beaches of Crete. However I really enjoyed it because it was quiet and the rocks around the beach had a beautiful mix of colors with greens, blues, oranges and pinks. The beaches are not big. You can also walk to the other side of the fortress' ruins to another cove. I mentioned it earlier (#2) but of course Elafonisi is also an excellent examples of the colors of Crete. On top of the amazing typical colors on displays, it adds a layer of Pink sand that makes the whole scene unbelievable. The pink is due to millions of shell being crushed and forming sand. - how clear the sky is. So with a shallow beach, clear water and light sand, you get vibrant colors as the suns rays are reflected and amplified. Maybe you are like me and you love rocky formations and geological wonders. 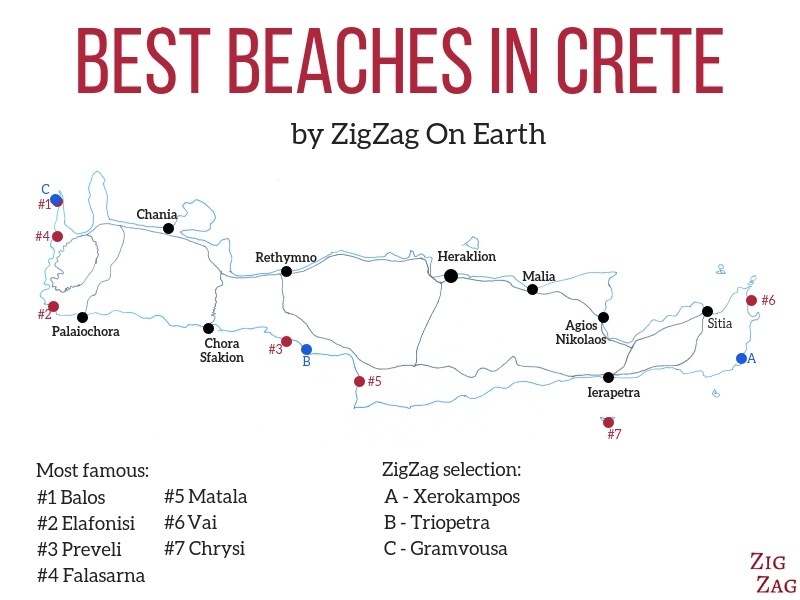 If that's the case, I have selected 3 beaches where you could find interest, including one of my favorite beaches in Crete: Triopetra!!!! The beach itself is not really fascinating. It is a very long stretch of pebble beach. 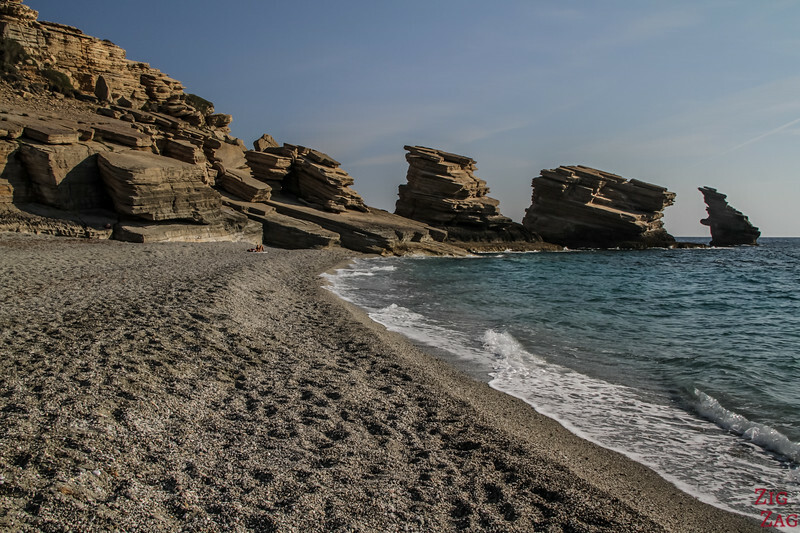 However at the end of it are 3 fascinating rocks which give its name to the beach (Triopetra means three rocks). 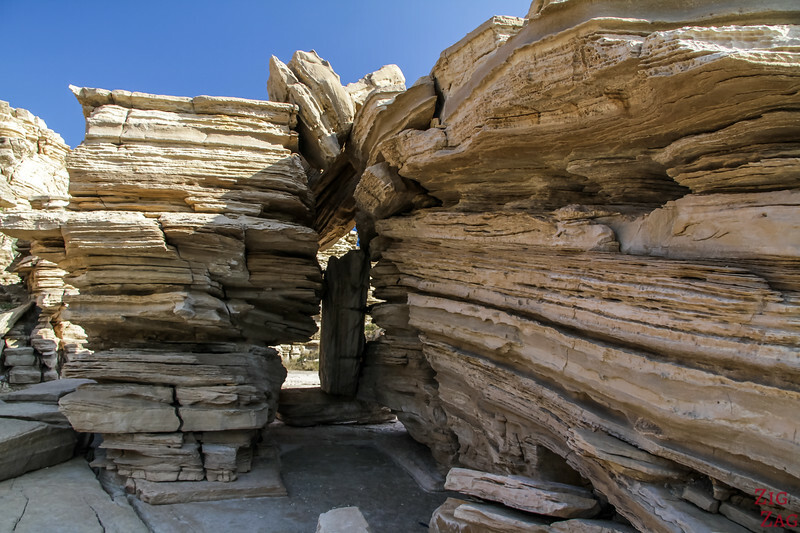 You get get up close with the sheets of rocks are stacked vertically. It is absolutely fascinating! The rocks are beautifully hit by the sun setting in the evening. Limited accommodations by the beach. Check out options. 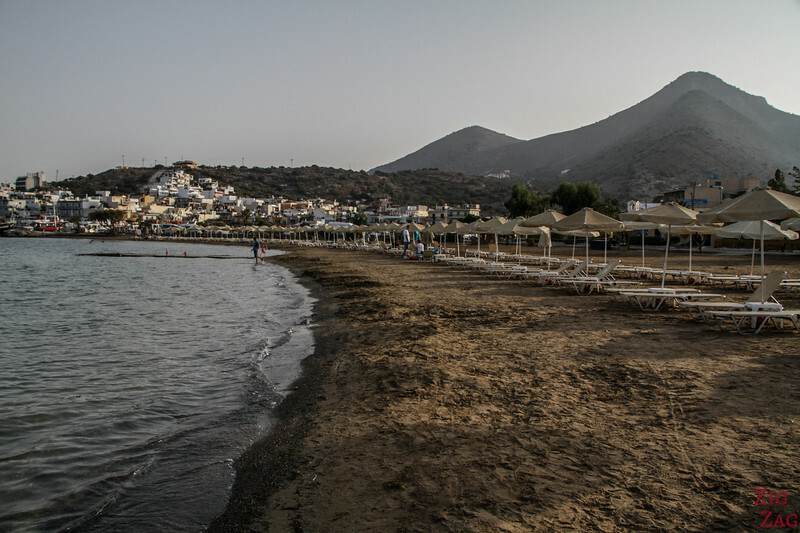 Plakias is a big resort with a long beach. Not fascinating but great for families. However if you get all the way to the end of the beach, pas the sand dune, there is a 80m rock wall standing facing the beach. It is even more special in Winter during a full moon where the light is reflected by the cliff in the water, attracting big squids. The beach at the bottom of the wall is where the naturists set up. 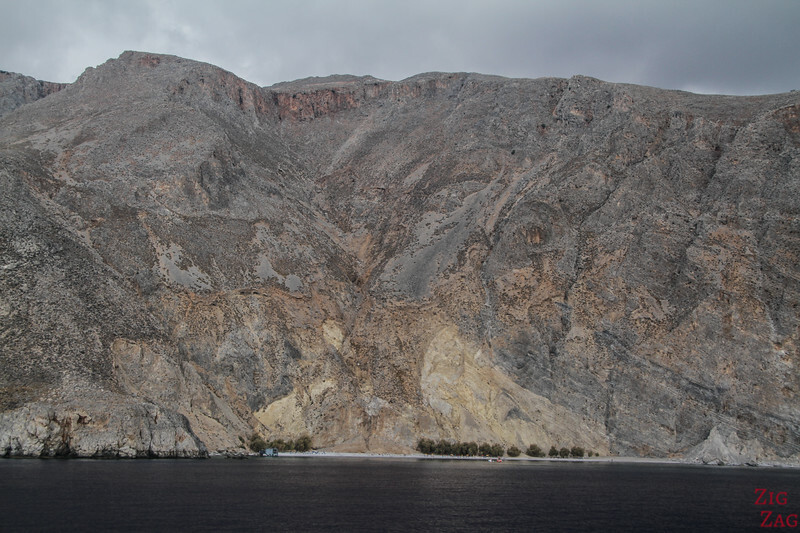 Glyca Nera is a very small beach at the bottom of an impressive cliff as you can see in the picture above. There is no road and no permanent building. The particularity of this beach (except its extreme location) is the spring that arrives there, so fresh water flows through the pebbles. 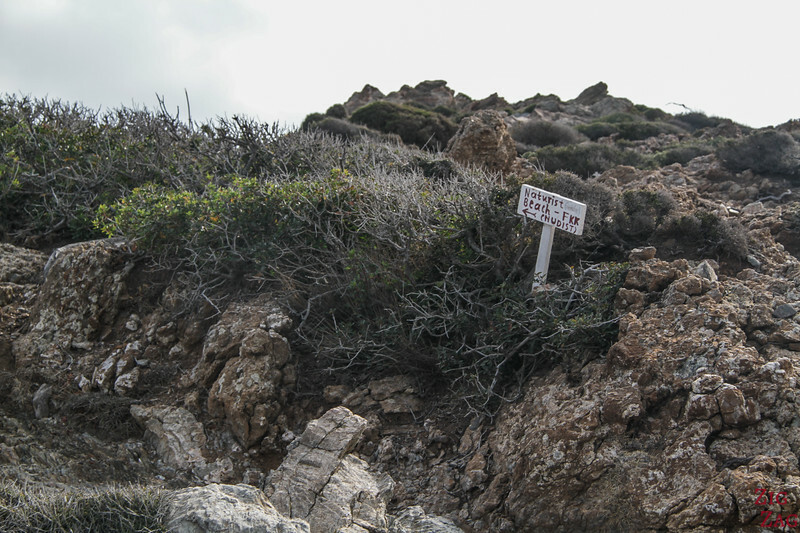 Despite its small size, Crete has 3 mountain ranges, with a highest summit reaching 2456m (8058ft). The island being not wide, some of those mountain ranges drop into the sea creating magnificent landscapes. Below is my selection of the most scenic beaches (apart from the ones already mentioned before in the article). 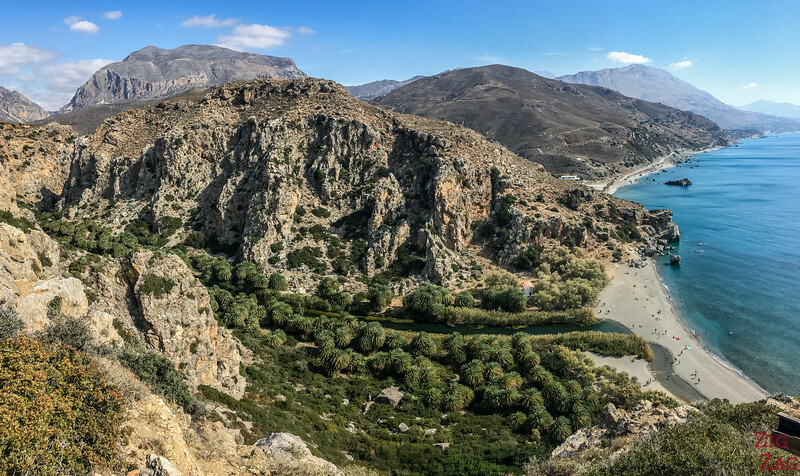 Xerokampos was one of my favorite beaches in Crete, probably because I love bare landscapes off the beaten path. Because of its isolated location, the long sandy beach is quiet. The water is transparent and pinkish rocks makes the beach more interesting. The surroundings are magnificent with a deep gorge and bare mountain. The drive down from the South Coast is particularly magnificent! Stomio is not a beach to lie down. It has big pebbles. However the area is very scenic with lush vegetation, mountains dropping into the sea and a charming white chapel. Great spot to photograph. Quite a fascinating historical place! Orange cliffs, turquoise water, caves, deep gorge and the ruins of an old Minoan town. Zakros is worth the detour! 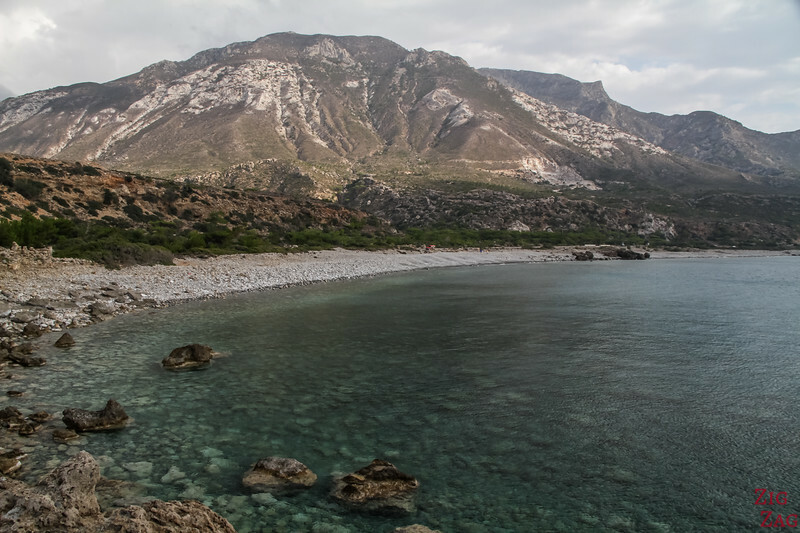 Even if you don't hike the famous gorge 'Valley of the dead", you can enjoy the beautiful drive down with the bare landscapes and the views of the Zakros cove. Don't miss the ruins with the turtles who have set up there home there. Sougia is the West limit of the National park where the mountains drop dramatically into the sea. If you are looking to spend the night away from it all, Sougia is one of the best place, once the tourists of the day have left. 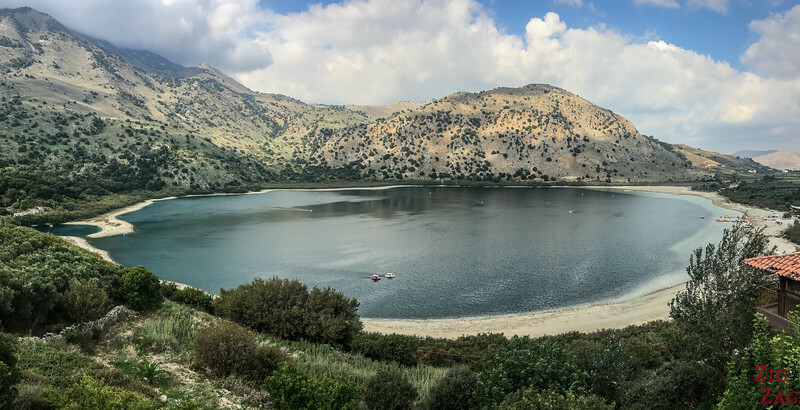 Crete has only one fresh water lake. Its name is Kournas. And it has a beach! Great option to enjoy something different. Then sometimes the beach is not that interesting by itself but it is located in a charming picturesque village. 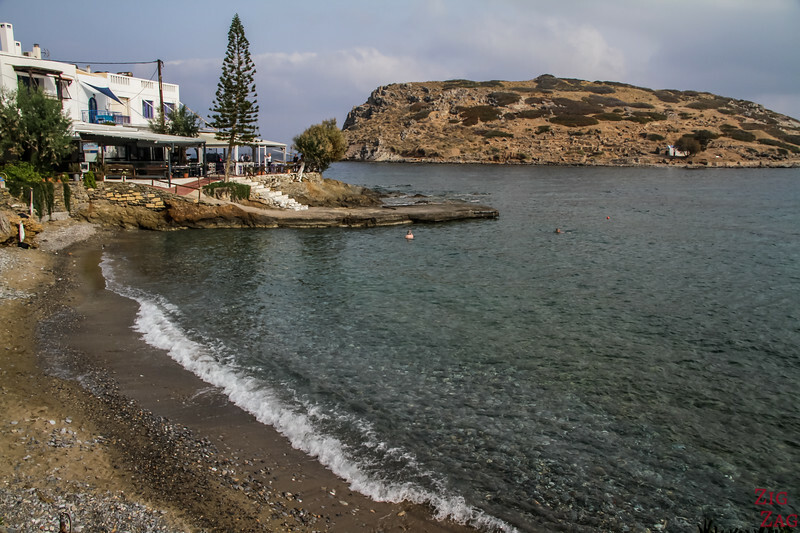 Those places are great options to unwind and take in the Greek island life (although most have only tourist accommodations left and no more locals...). Mochlos is a charming village away from the crowds. It is especially appreciated by French tourists. Its taverns serve delicious fresh seafood and you can take a boat to cross to the island and tour the ruins. The village has a lot of charm. Chora Sfakion is the departure and arrival point for the ferry going to Loutro and the arrival of the Samaria gorge hike. So it is often used a a transit place to stay. However the village has a lot of charm with restaurant in the seafront, small shops in the back alleys. Loutro is one of the most famous villages in Crete. 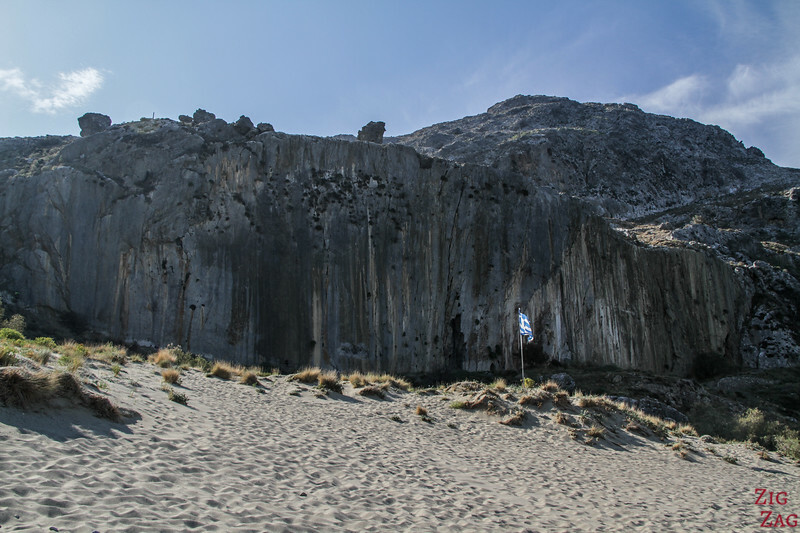 It is located in a small cove at the foot of the mountains. There are no roads, you can get there hiking or by boat. The white houses, against the emerald water and the orangy cliffs makes the location unique. Myrtos is a small village, away from the main touristic hub. Its center has a Cycladic island feel. 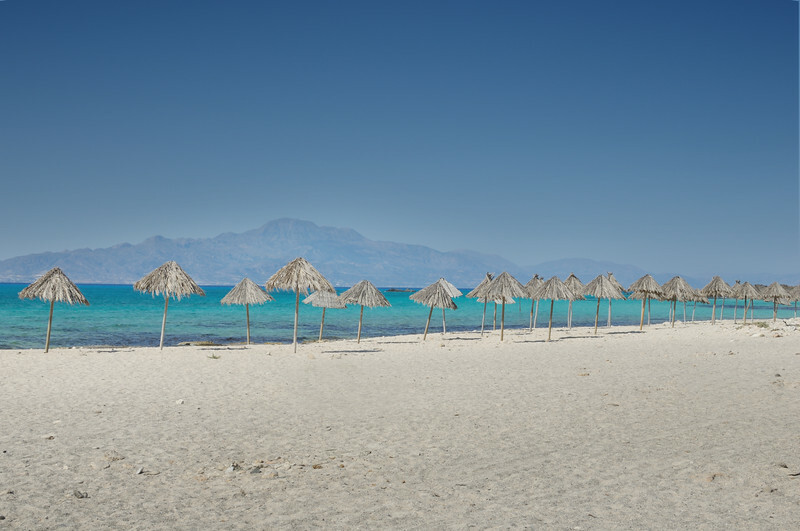 Wondering where the Best beach destinations in Crete are? Well there are many options to chose from to stay in a place with a large choice of restaurants and activities near a beach. Here is a selection of 5 to consider, with all very different vibes. 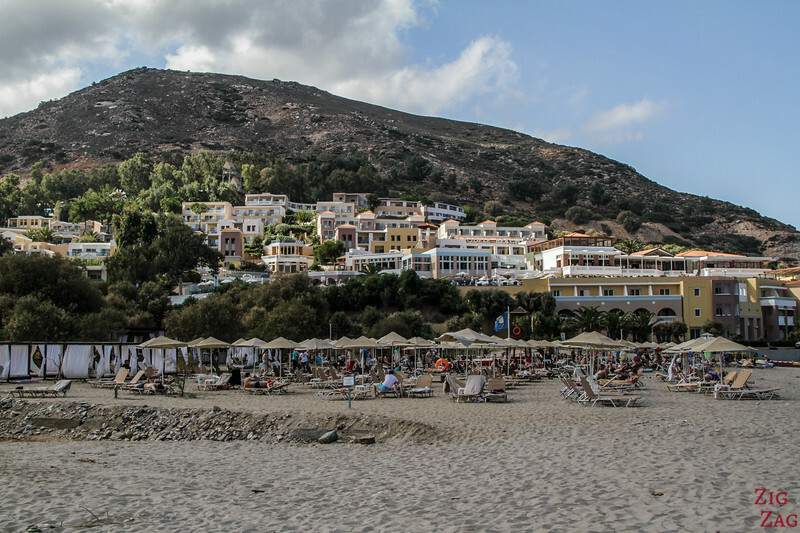 Palaiochora was one of our favorite places in Crete. It is a beach destination but away from all the touristic hub. It feels quieter and cleaner. Plus the mountains are dropping dramatically into the sea. The view from the castle ruins are splendid! 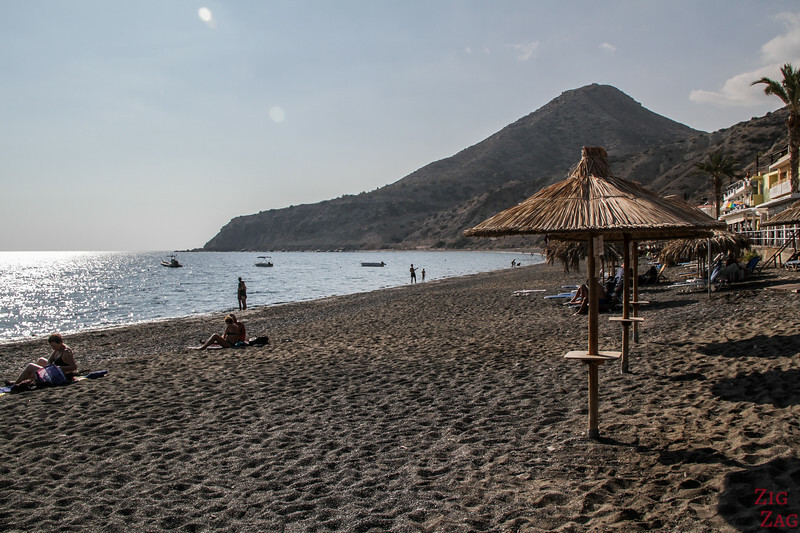 Yes Crete is home to the Bali beaches, a series of coves with sandy beaches. They look very different from one another. The first one is long and for people wanting to sunburn, while the North one has more a village feel. Elounda is the main access to the famous Spinalonga island and its long history. Thanks to the peninsula, the bay is protected and it has a great beach for families. The town has lost some of its authenticity, but it feels less of resort and more of a real town than Bali. It is a good option for those who want to alternate between staying at the beach in town or explore the rest of the coast with its gorges and wilder beaches. For example from here you can take the boat to Preveli. Malia is famous for it archeological site. It is also a great area with sand beaches and rocky beach areas to explore. However it is not for those who enjoy quiet. 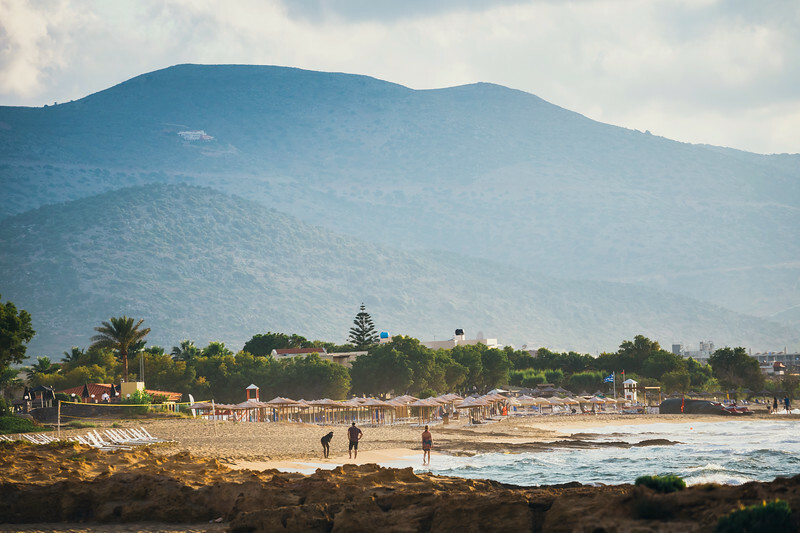 Malia is know for its nightlife and party vibe. 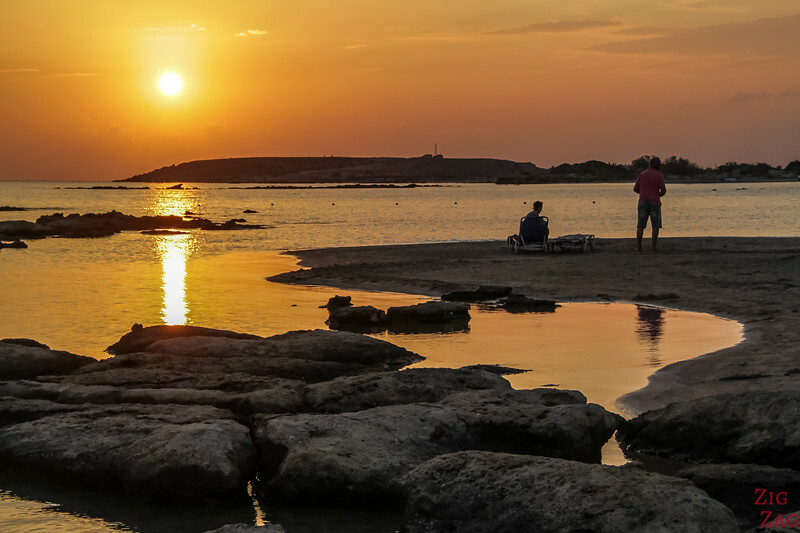 In Crete, there are 3 main towns where tourist are staying and where you can find plenty of activities and departures for day trips. If you want to combine with some beach time, here are your options. Heraklion is the main town in Crete. 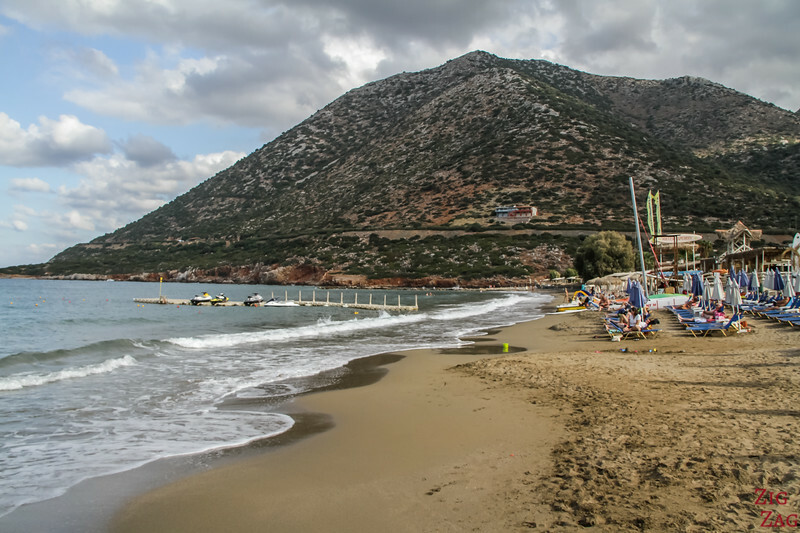 The closest beach West of Heraklion is Ammoudara. A very long beach with brown sand. But if you have a car, you can find other options within a short drive ​such as Fodele beach in the photo here. Chania is often considered as the best touristic city in Crete. Its Venetian harbour has a lot of charm. No beach right in the center but you have a couple of options just 15min walk away. 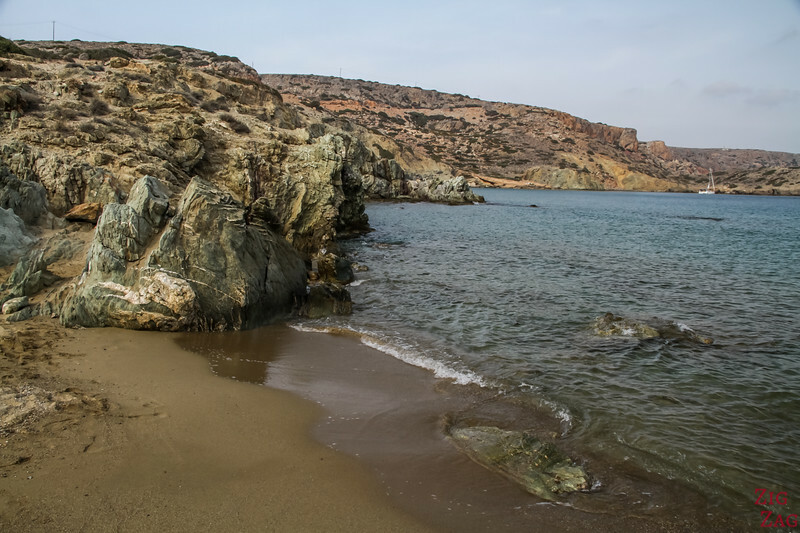 And further the to West, you can find a few beautiful cove beaches: Chrissi Akti, Agioi Apostoloi and Iguana beaches. The last 2 are protected from strong winds. However if you have a car, you can explore quieter beaches less than 30min drive away, especially in the peninsula. On the picture here you can see the charming beach of Marathi. 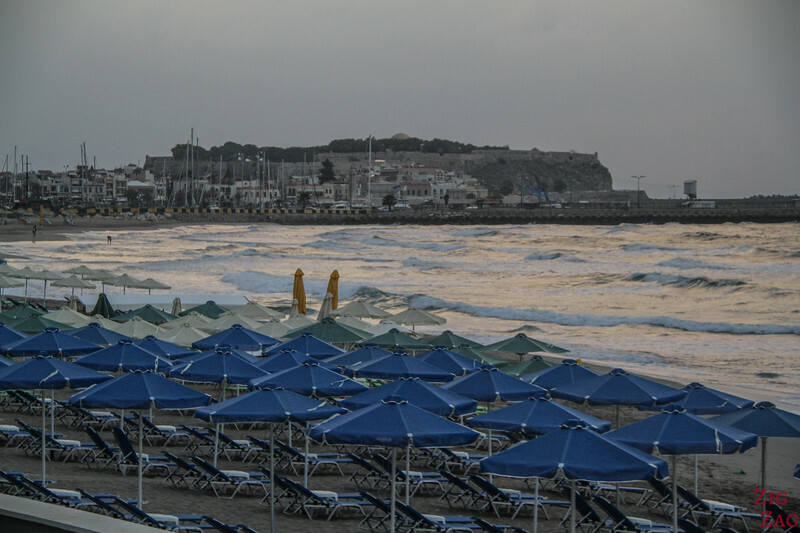 Rethymno is located between Chania and Heraklion. It is the most beachy of the 3 town. The beach is not wide but it stretches all along the east of the town with hotels across the road the whole way. However I must admit, I did not find the beaches very inviting. 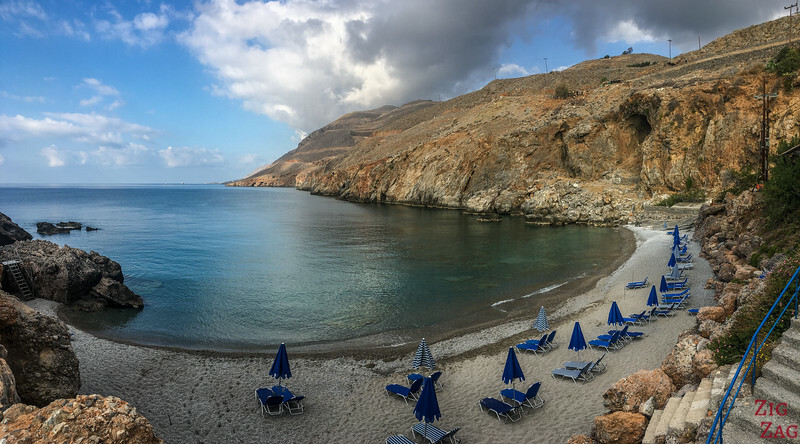 I must admit that I was a bit surprised by the beaches of Crete. most of them do not have nice sand. And you cannot find the amazing fine sand of the beaches of South Corsica. A lot of the the beaches listed cater for families, at least part of the beach. Many of them are shallow at the beginning. Of course Elafonisi is a top choice because of the lagoon area. You will find a lot of options. 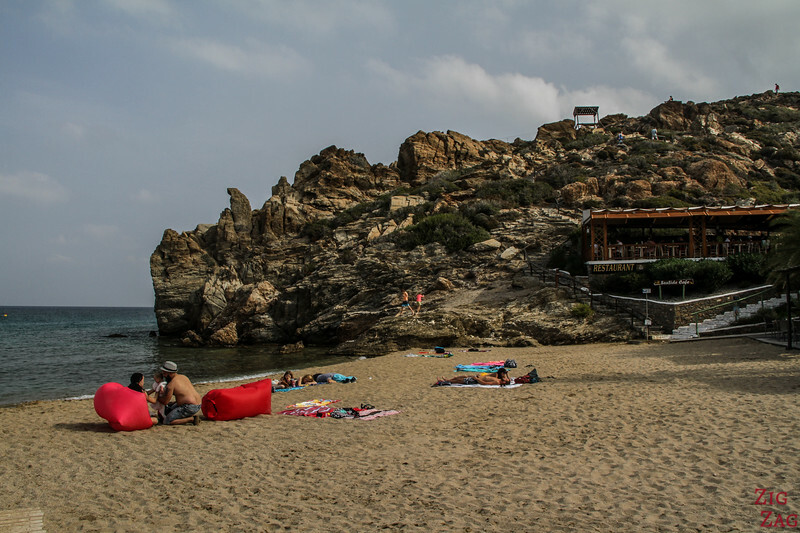 Often there are coves near the main beaches where naturism is well tolerated. However sometimes, you will have to hike a little, to find you paradise. Below is the sign for a naturist beach near Vai (the sign is at the top of the staircase South of the beach).